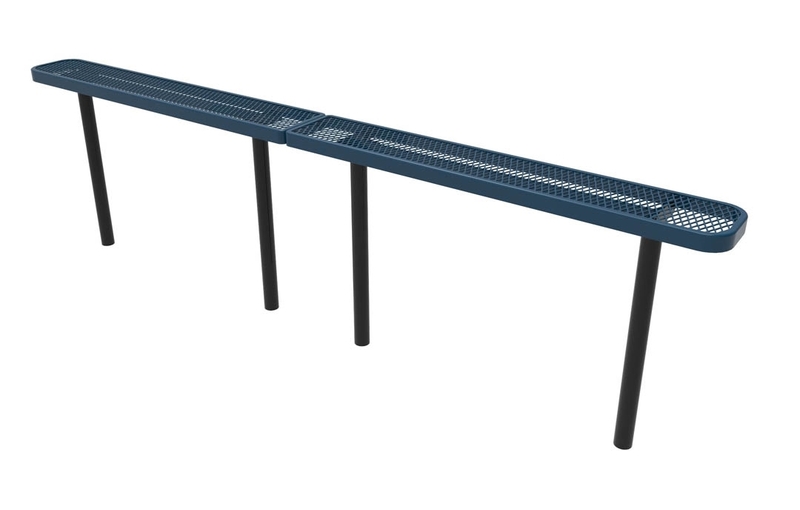 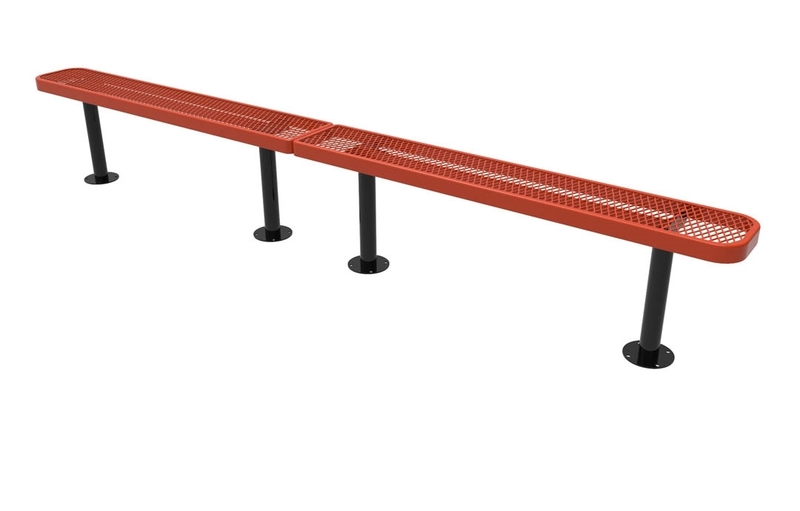 ELITE Series thermoplastic benches are made with commercial use in mind. 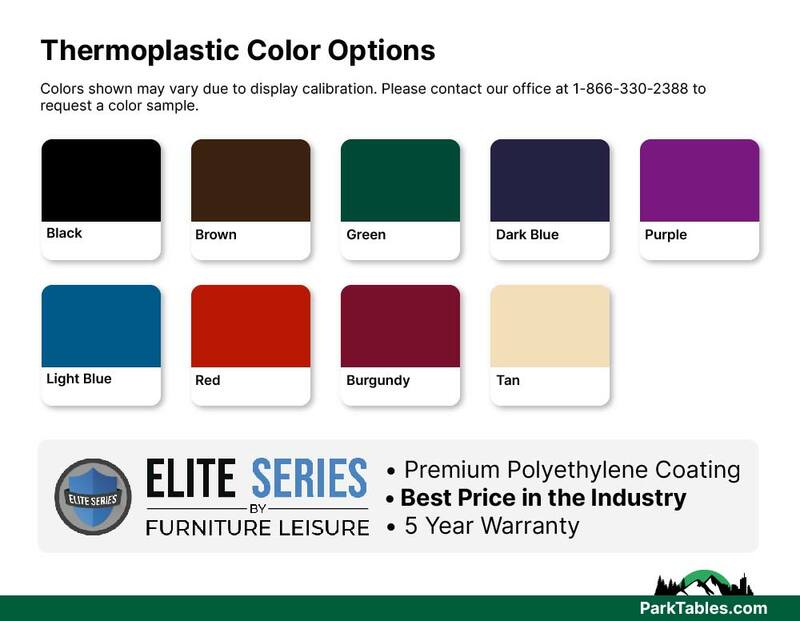 Features a 90% gloss shine with a smooth surface that is easy to clean. 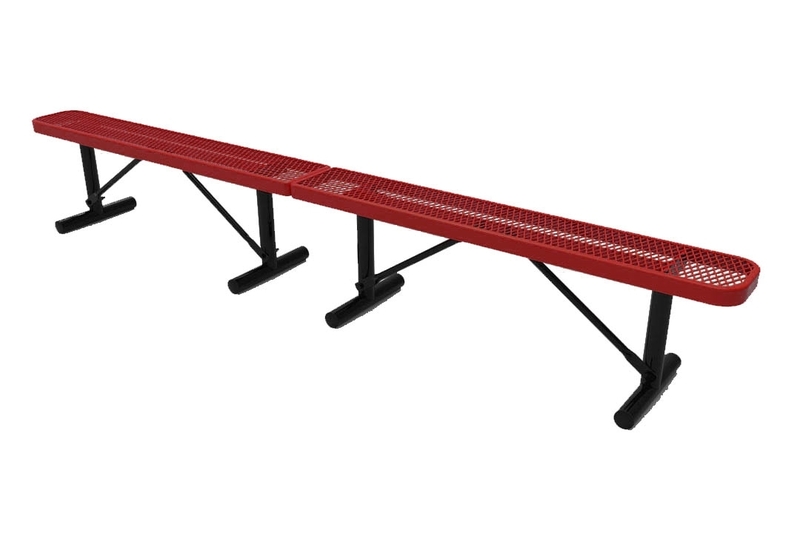 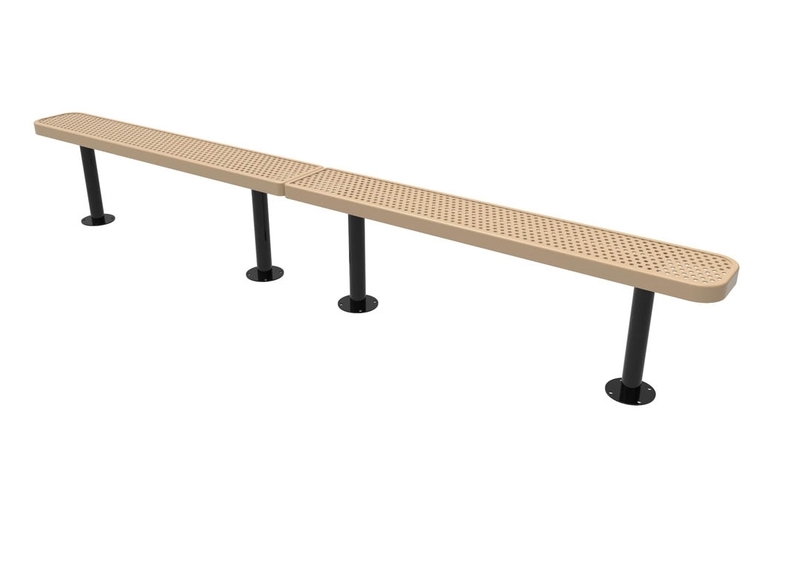 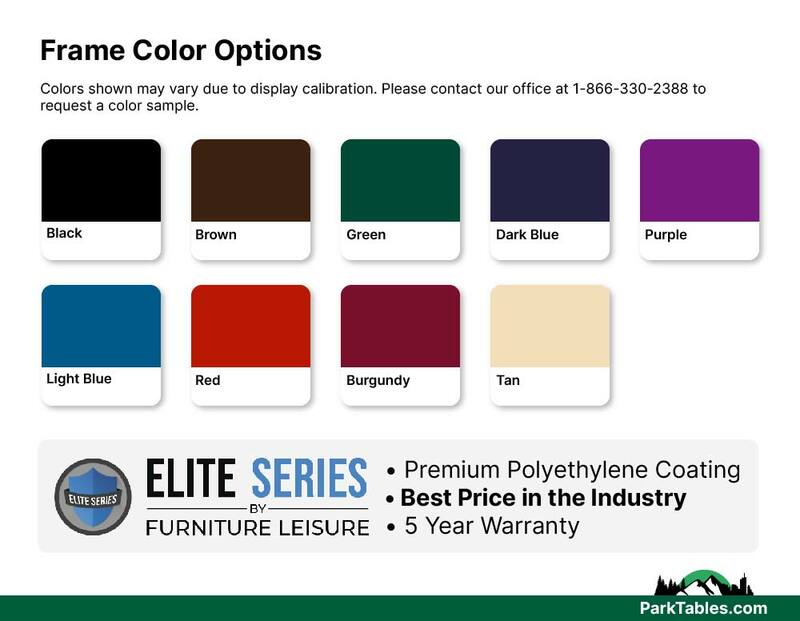 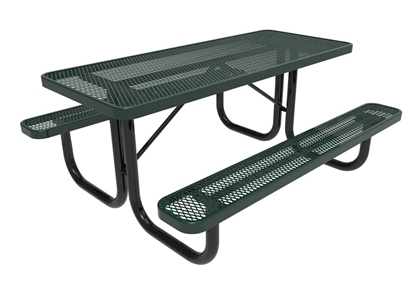 Coated with industry standard polyethylene, this ELITE Series bench is as heavy-duty as it is affordable. 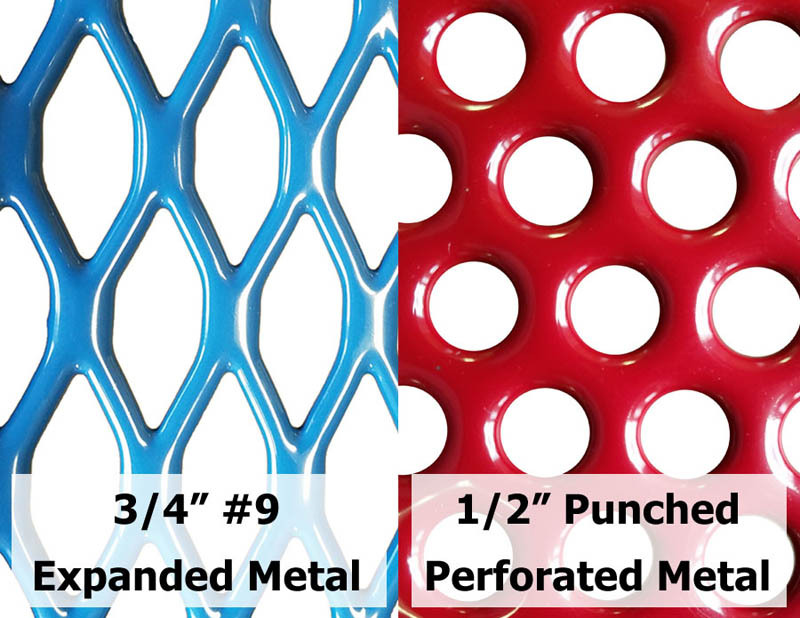 Made with 3/4" expanded metal or 1/2" punched metal and a 2" round powder coated frame. 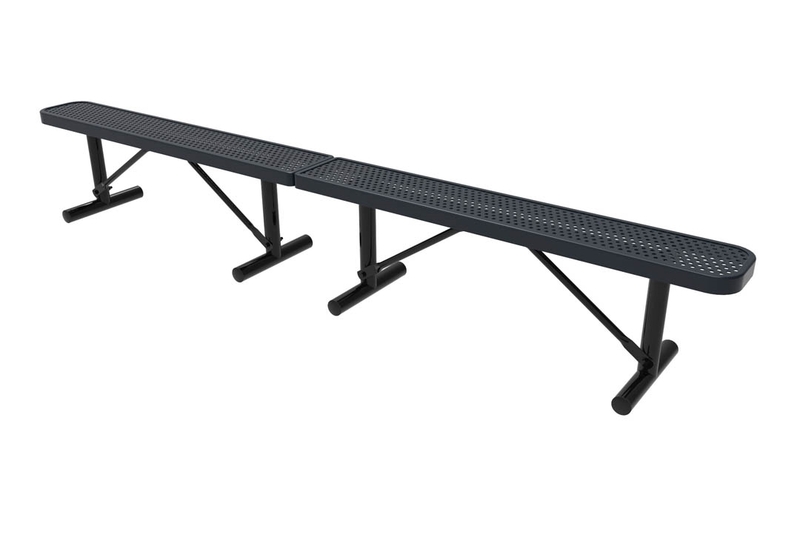 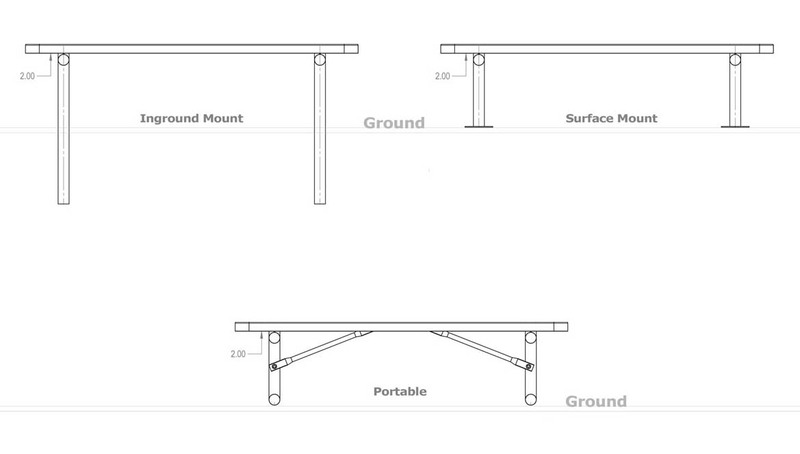 These two 5 ft. rectangular benches can accommodate the whole team at schools, parks, or many other commercial venues. 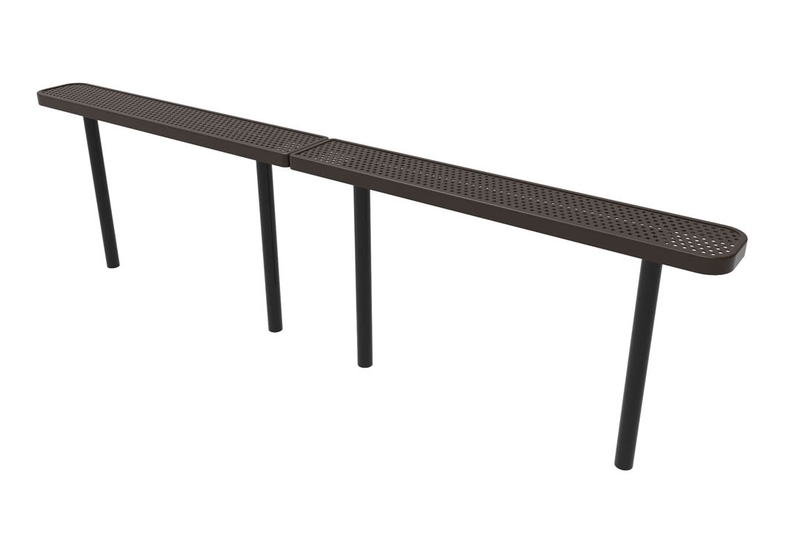 • 10 ft. Rectangular length without back.